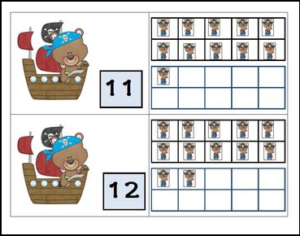 This matching game is aligned to math common core standard – Counting and Cardinality and will help students practice teen numbers. Simply laminate and cut apart the cards to have students match the number to the correct ten frame. This game will work well in math centers or math stations.